Best Japan tour ever! No complaints. Great everything!! Best Japan tour ever! 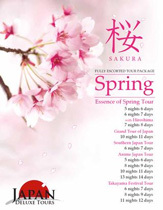 No complaints Japan Deluxe Tours took care of everything stunningly. Great tour guide, itinerary, everything! !